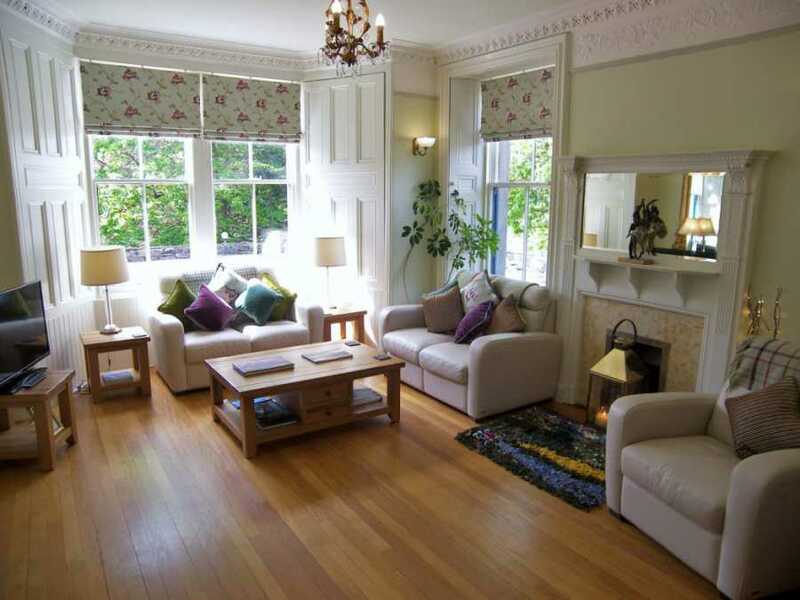 Family accommodation Pitlochry is in high demand at certain times of year – and no wonder! A stay in Pitlochry is a fabulous way of lifting family spirits during those precious spells of time together. 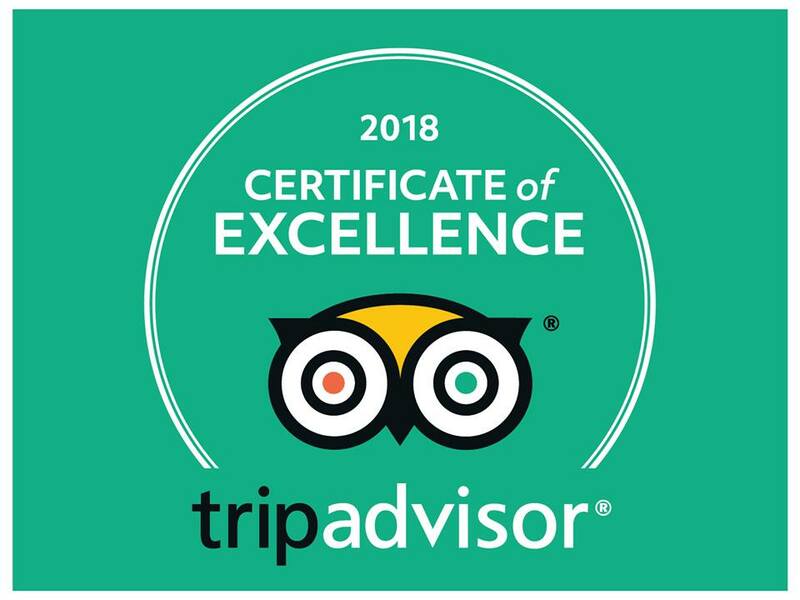 Theme parks aren’t the order of the day, however there is a an abundance of opportunities to help the kids get a step closer to nature, often for free, as well as a vast number of outdoor pursuits directly aimed at younger age groups. 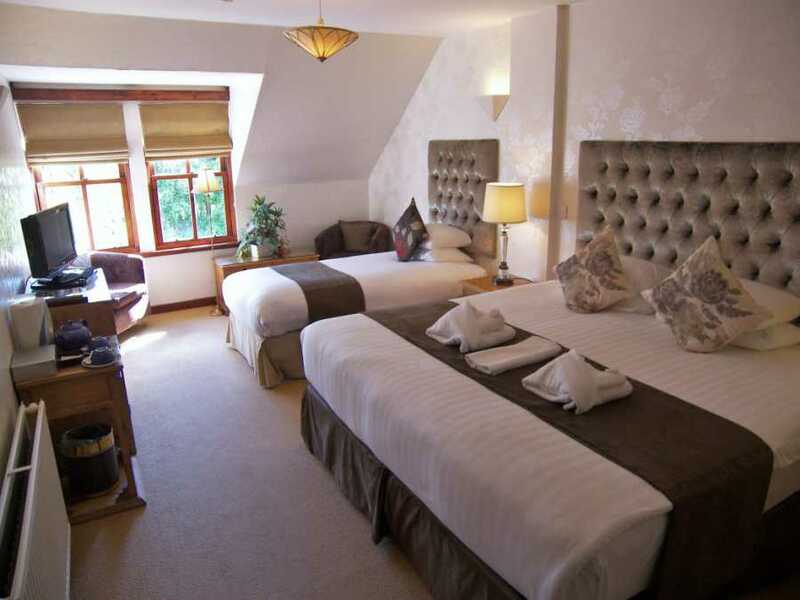 Rosemount Hotel Pitlochry Family rooms are ideal accommodation for families with their spacious family accommodation. 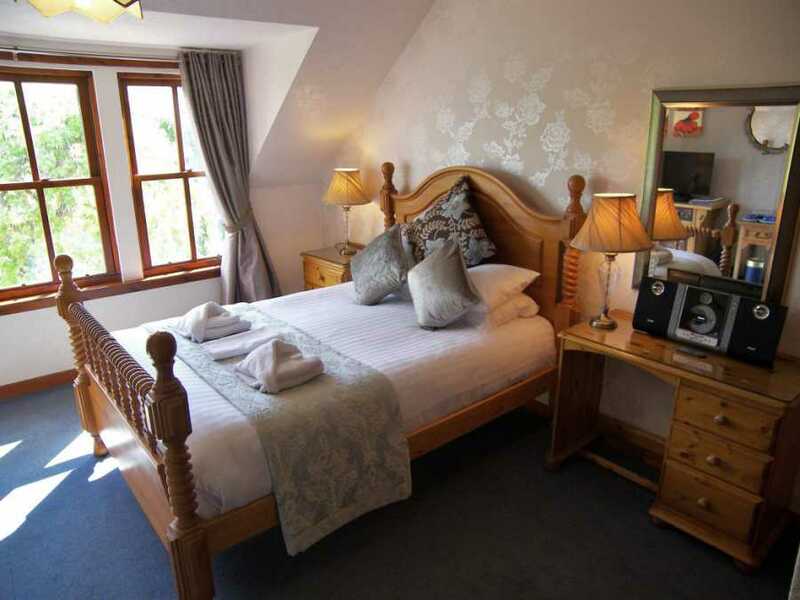 Rosemount Pitlochry – A characterful, small, comfortable, family friendly Hotel with beautiful views and great location. Up to 20% off in 2017. One child eats free. 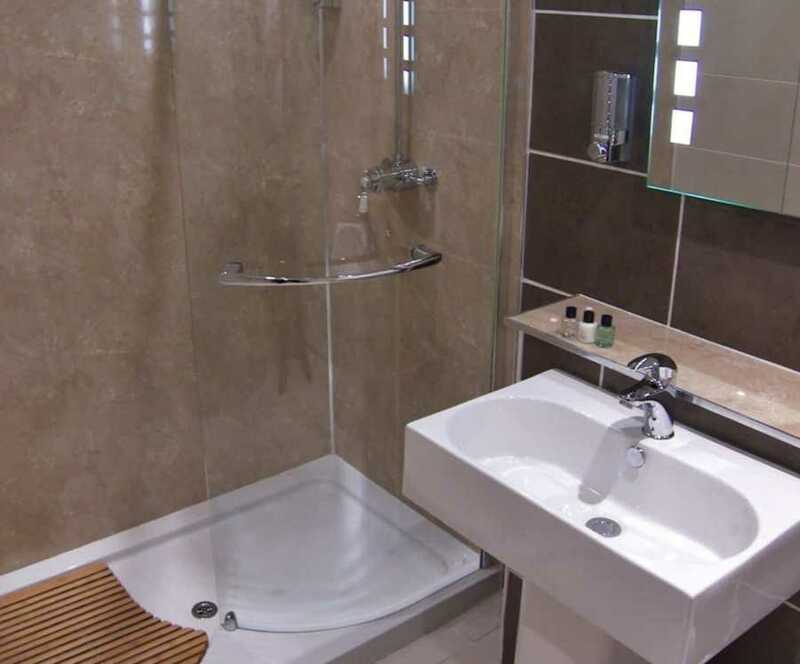 You’ll discover that there is a good choice of Pitlochry family accommodation at Rosemount. 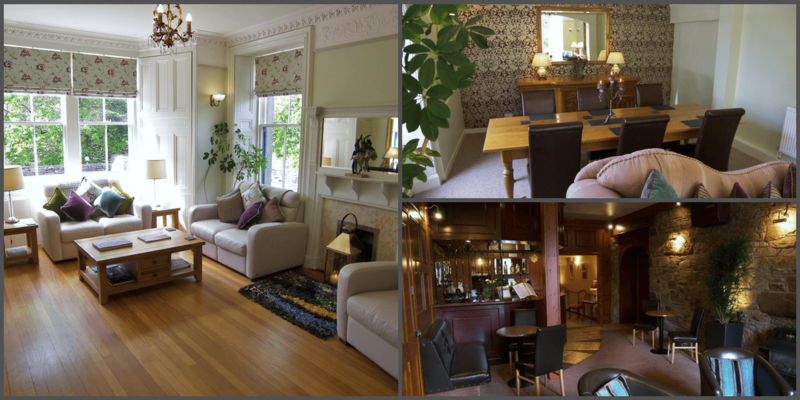 We’ve Pitlochry family rooms for 2 adults and one child – two adults, two children and a superb ground floor suite that can sleep up to 6 persons, with a maximum of 3 adults. The stunning backdrop of the gorgeous Pitlochry countryside radiates out from the town in every direction. Nature’s sights and sounds fill the area and swell your heart with joy. 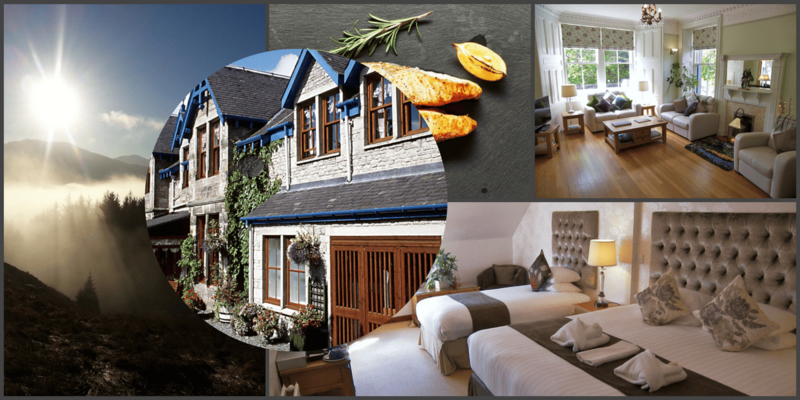 Once your accommodation in Pitlochry has been booked, you can plan your trip. 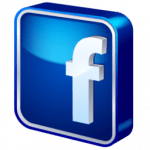 We’d like to help you choose which from the many choices of local interest to be explored. 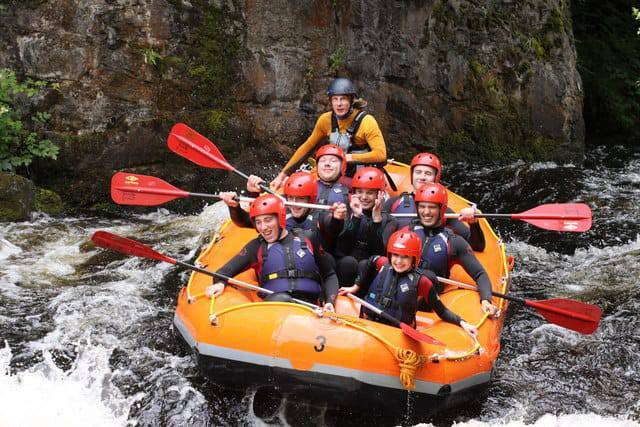 The Provision of leisure activities in the Perthshire Area is second to none It’s a real pleasure for us to source information for the many possibilities for your family to engage in an amazing array of fun things to do whilst holidaying in Perthshire. 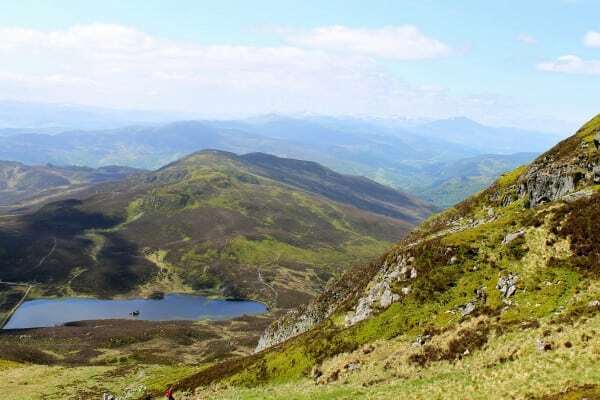 There are an enormous number of beautiful places to visit during any stay in Pitlochry. We are available for phone calls to give further information about our Family accommodation in Pitlochry. This Castle’s long and fascinated history is imparted to children with many activities throughout the year, including “Castle Detective Challenge” – a real treasure hunt. The grounds have plenty of wildlife, adventure trails and a playpark. There is Segway hire available in the grounds of Blair Castle caravan park. This great facility for families is just 5 miles from Pitlochry. 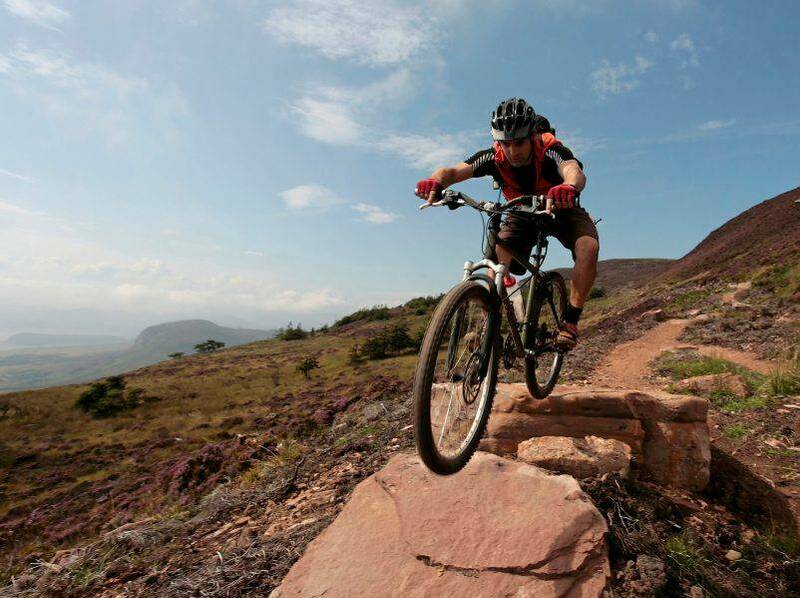 Suitable for riders of all ability, from novice to experienced. Safe for children. 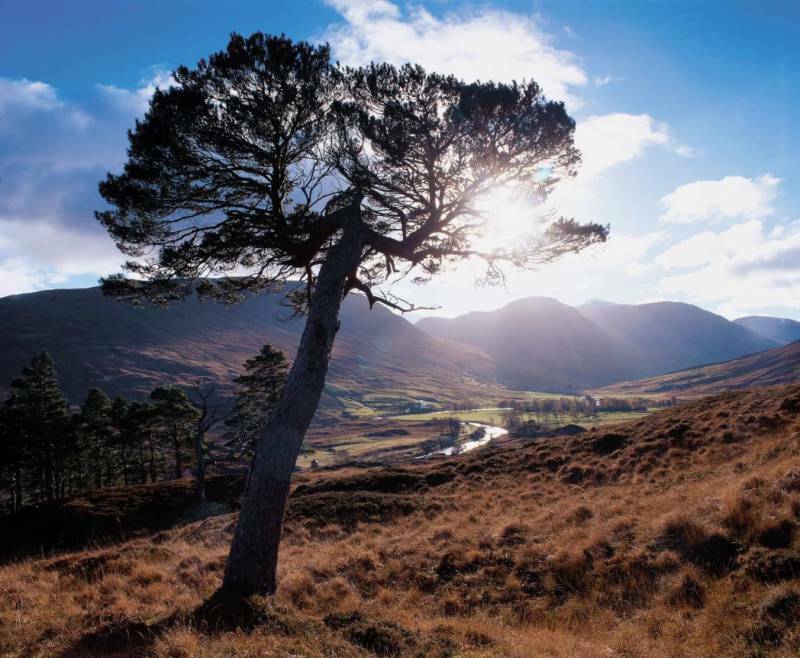 Travel along forestry tracks, spot wildlife, cross a river on a sure footed Highland Pony. Weight restrictions apply. Located within the grounds of Blair Castle, close to Pitlochry. Aimed at the 5 – 12 age group. Nae Limits have joined forces with National Trust Scotland’s Outdoor Adventure, Forest Play and Leadership skills to make a fun day. This is a full day of Adventure and Learning in the Perthshire wilderness, on land and water, learning bushcraft and survival skills. 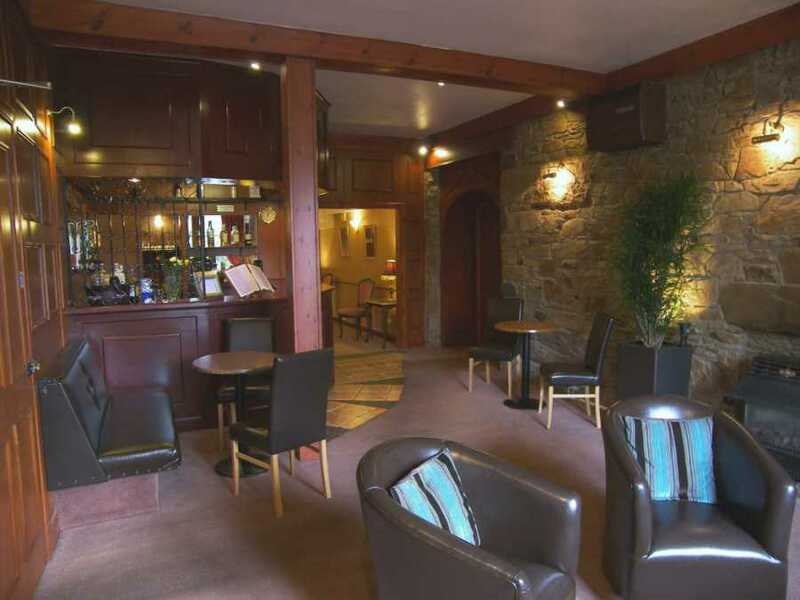 Located at Ballinluig – just 3 miles from Pitlochry. The new visitor centre with interactive exhibits and café is due to open in 2016. 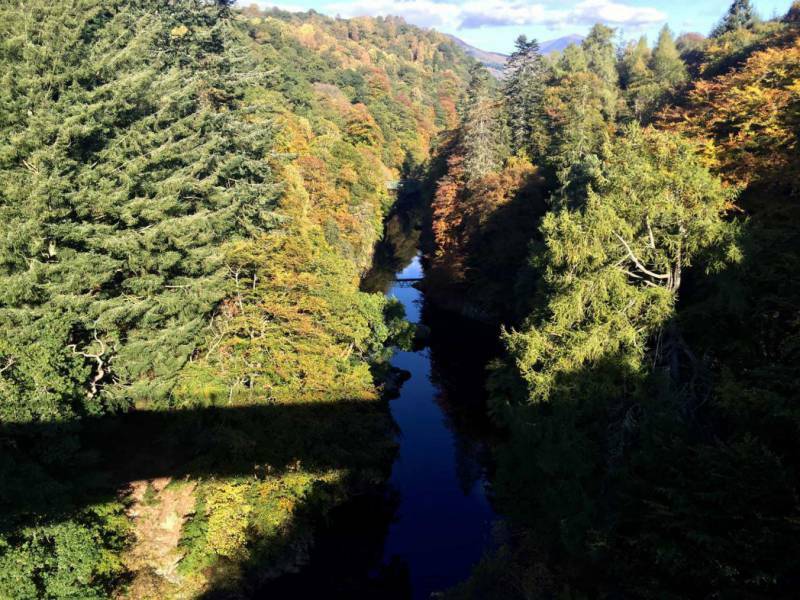 Views are wonderful and there are opportunities to learn about the workings of hydro electricity production and to view Salmon as they migrate to their breeding grounds in Loch Tummel. 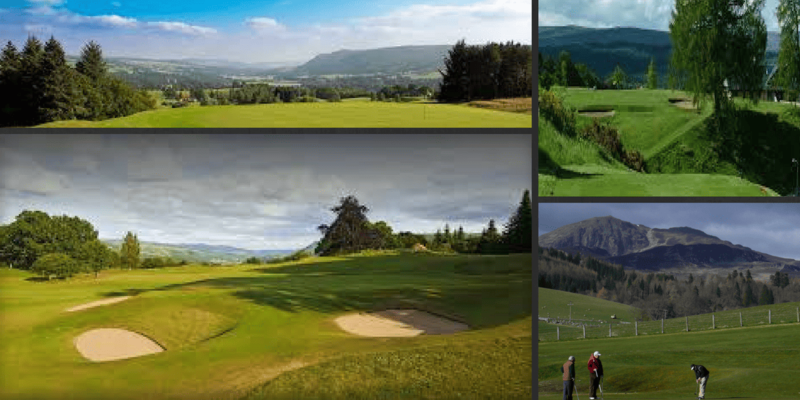 So much more than a classic pitch and put course, Pitlochry Golf Club’s putting green offers 18 “proper golf-course” style holes with varying degrees of difficulty to challenge families wishing to improve their golf skills. http://www.enchantedforest.org.uk/We are located within 5 minutes stroll of the pick up point. Early dinner is available. One child eats free per 2 adults taking 2 courses. 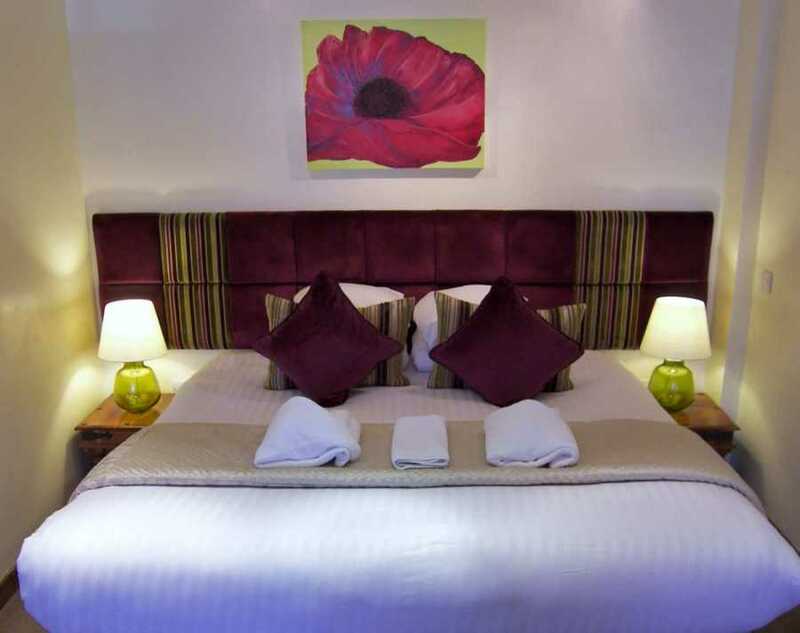 Rosemount Hotel Pitlochry have some stunning offers for early bookers which include discounts of up to 25%. We have included a booking feature in the column to the right to allow visitors to check availability against price in our offers for Pitlochry accommodation. Our room styles may be viewed at Rosemount Hotel Rooms. 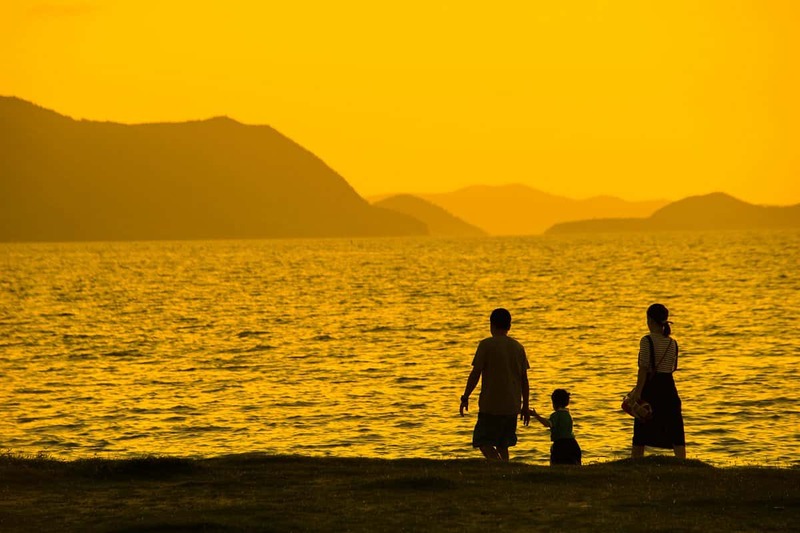 Nothing can be more invigorating than to feast the eyes with fresh colour and beautiful scenes. An additional sense of pleasure stirs as we observe wildlife setting about their business with renewed energy. Life is pleasurable and winter already forgotten. Its a great way to re-charge the batteries, and an especially great option for a family Holiday. We offer huge incentives for those seeking out Family accommodation Pitlochry short breaks. 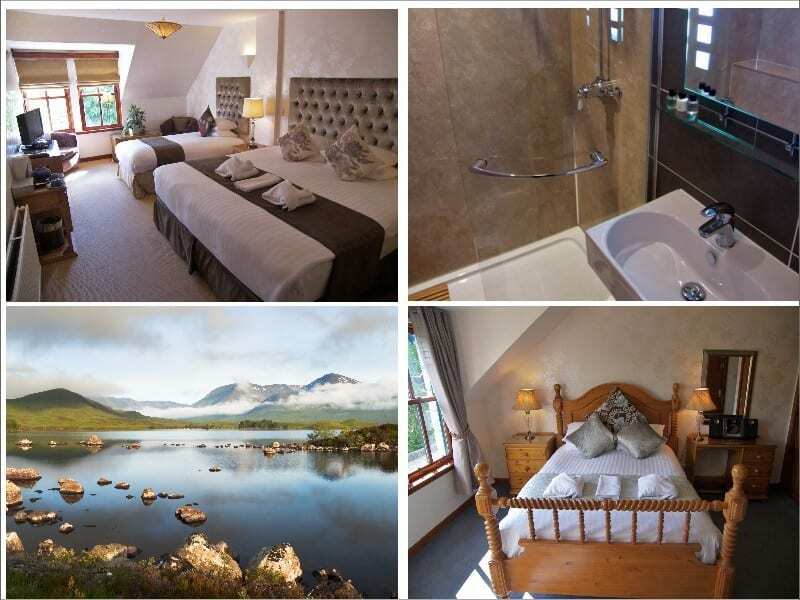 At Rosemount Hotel, we are delighted to recommend local beauty spots and nature reserves. Here, the stunning locality may be celebrated in the best way – merely by being there to observe it. 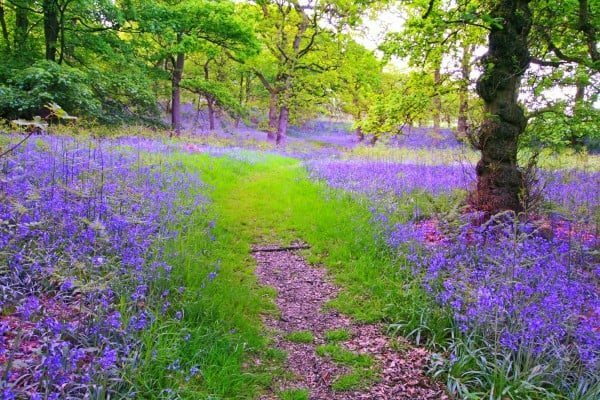 We have extensive knowledge of places to visit in Pitlochry and are keen to pass this information to our guests. We know where the snowdrops and bluebells grow in large drifts and red squirrels and deer hang out. The Loch of the Lowes nature reserve is just a few miles down the road and conveniently located for many fabulous walks. This is summer home to the female Osprey that holds the record for offspring and her nest may be clearly viewed from an impressively equipped hide. 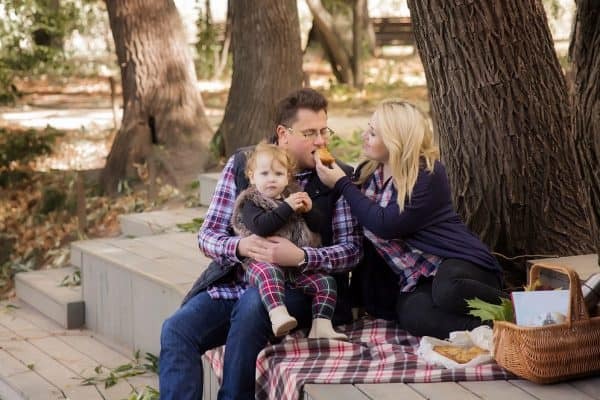 Please take a peek at our Family Accommodation deals. 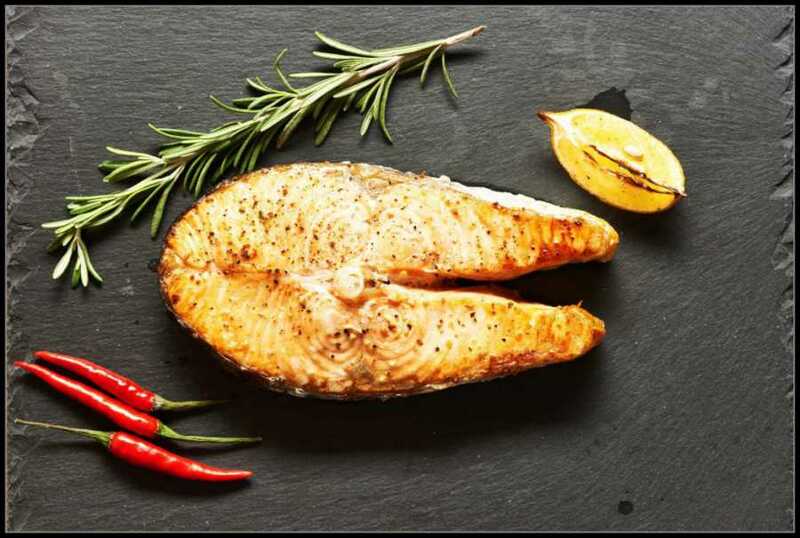 We try to add something for everyone. 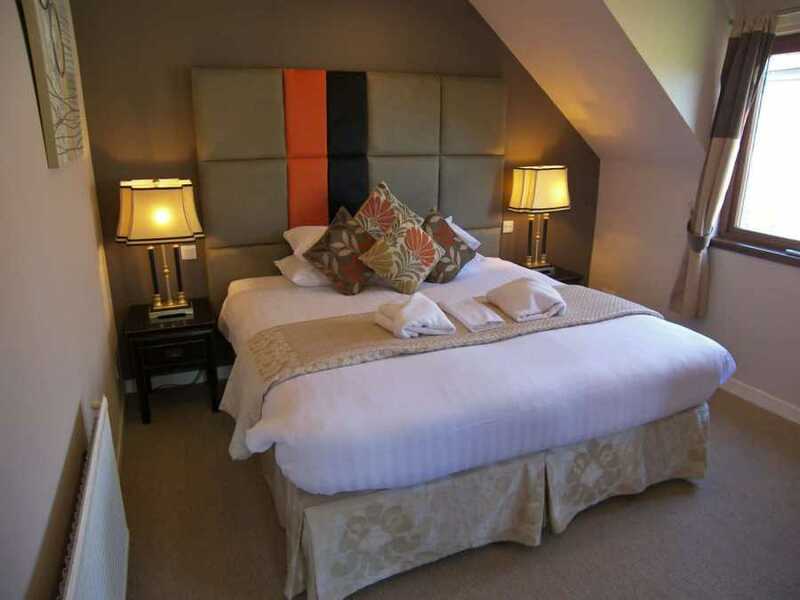 Rosemount has some spacious family rooms and we are pleased to have families stay. We know how difficult it is to find family accommodation around Pitlochry, especially during holiday periods. 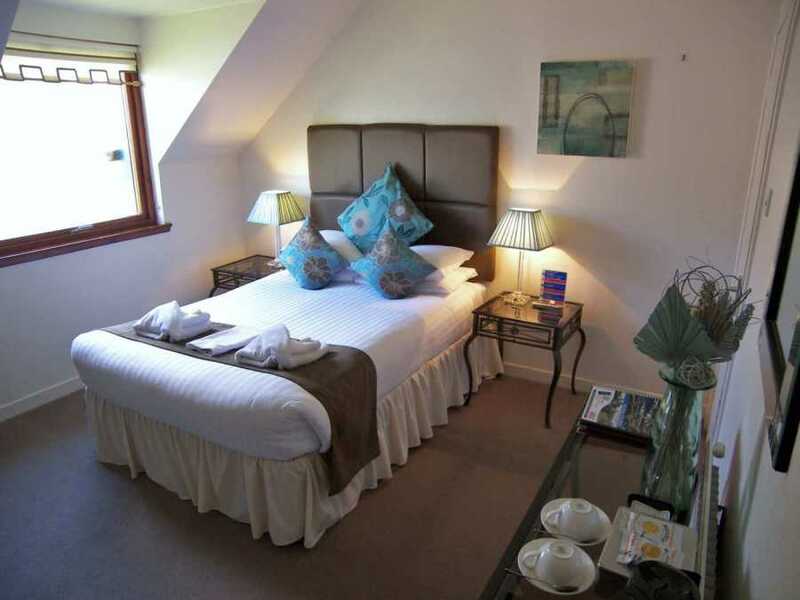 We are pleased to offer 4 sizeable Pitlochry Family rooms. The Highland Wildlife Park, Highland Folk Museum and Loch Insch Watersports Centre and Working Sheepdogs just 40 minutes along the A9. 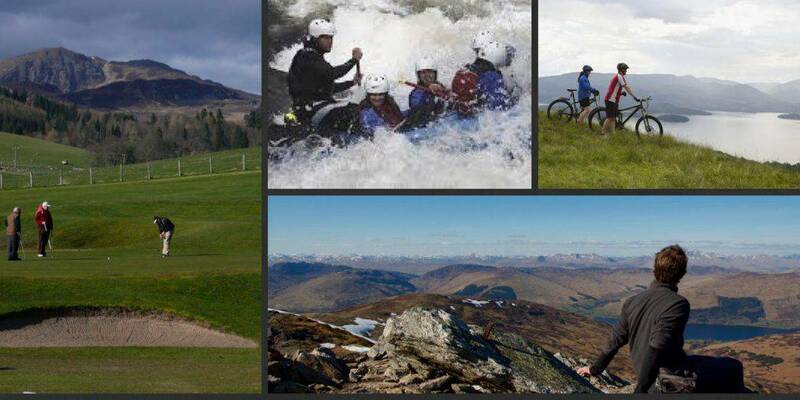 Pony Trekking, Tractor Safaris and Mountain Biking are available at Blair Atholl. 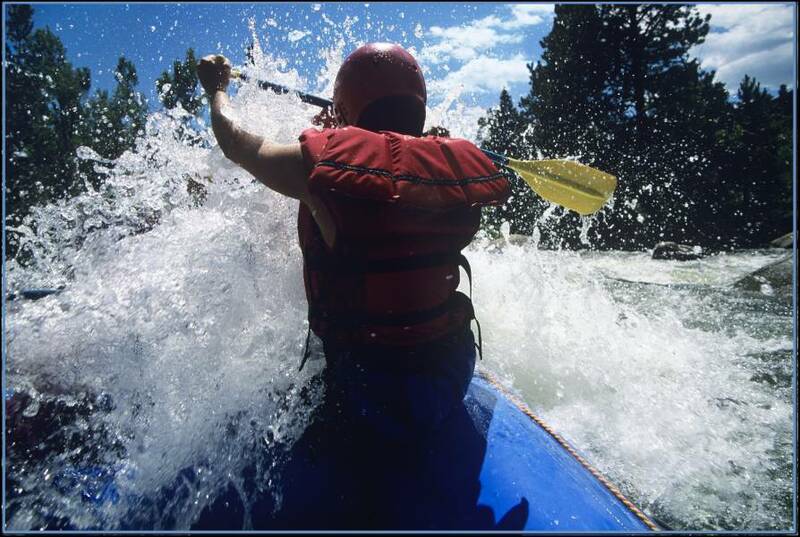 There are great facilities for Walking, Mountain Biking, Fishing, Ghillie days, Kyaking and rafting at Pitlochry. 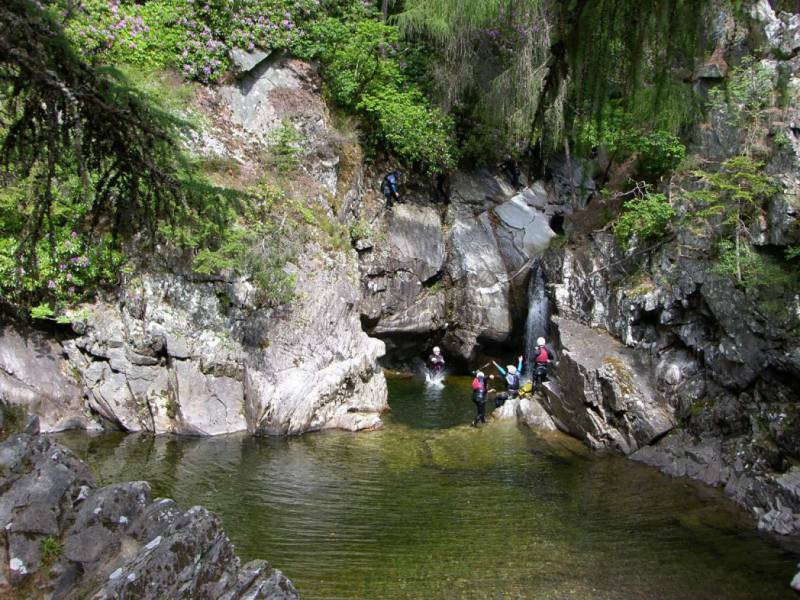 A series of soft play adventure parks are available between Pitlochry and Perth. At Loch Tay, there is the fascinating Crannog Centre and Marina at Kenmore. 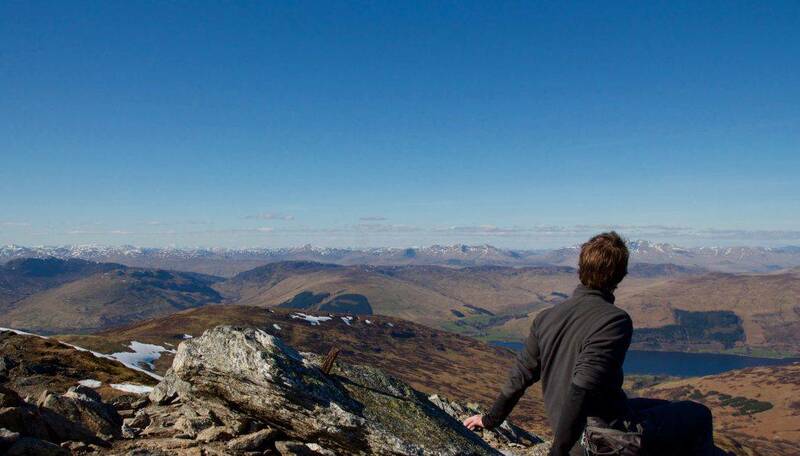 hillwalking, hiking and canyoning – but to mention a few! see unusual birdlife such as Woodpeckers, Kingfisher, Buzzards, to Dippers, Tree Creepers, Tawny Owls and Pied Flycatchers. catch a glimpse of a red squirrel or wild deer.